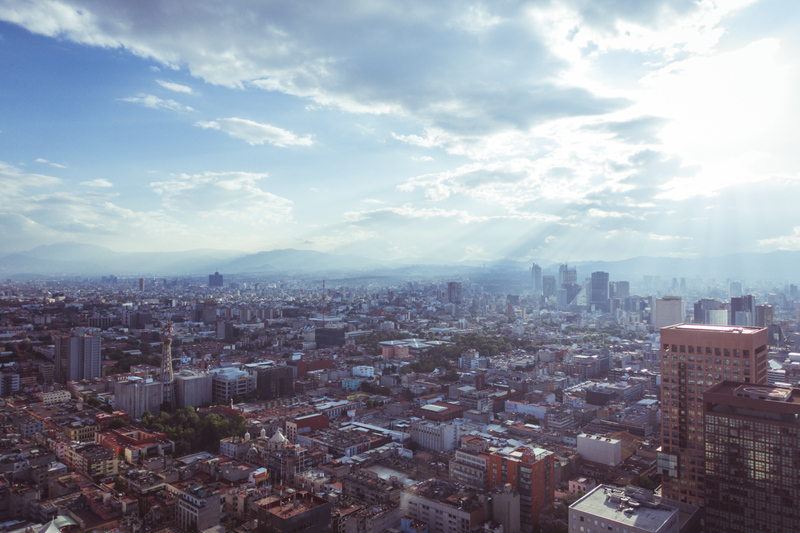 Here you’ll find a brief overview plus our favorite photos from our visit to the top — the “Mirador” — of Torre Latinoamericana. 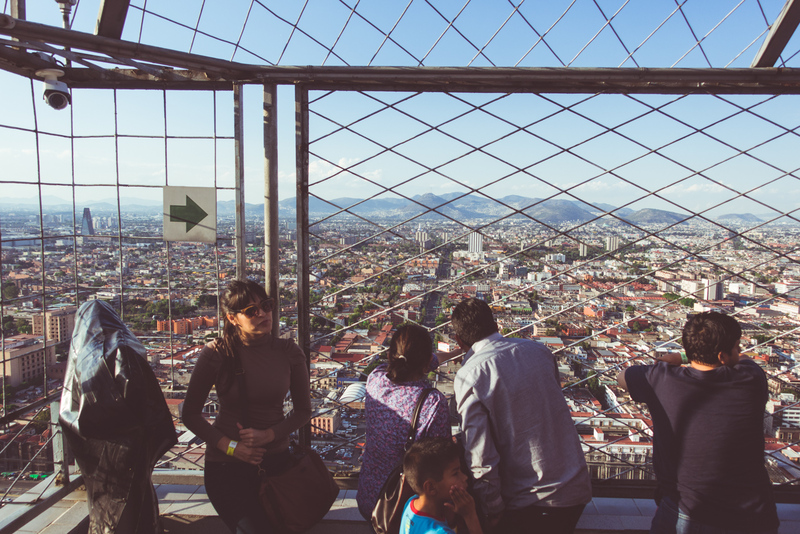 With a securely fenced-in upper-deck, this is an activity for all ages. There were several kids around during our visit. 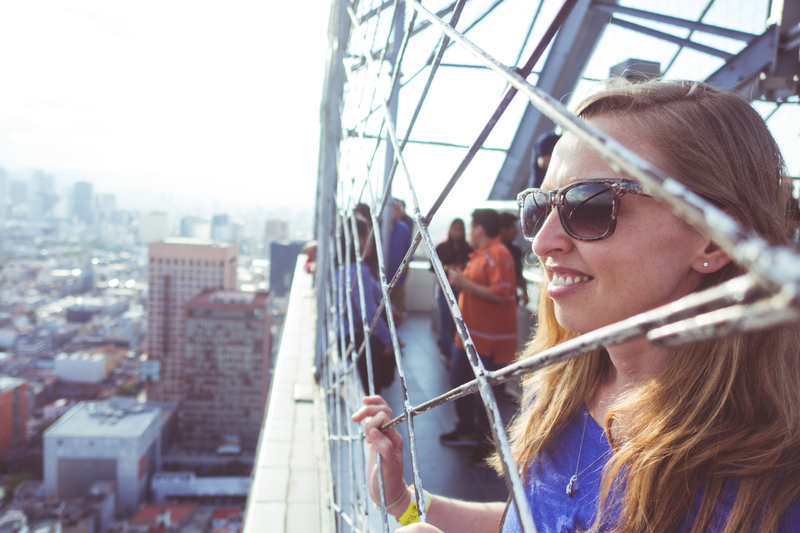 What’s the cost to go to the top of Torre Latinoamericana? 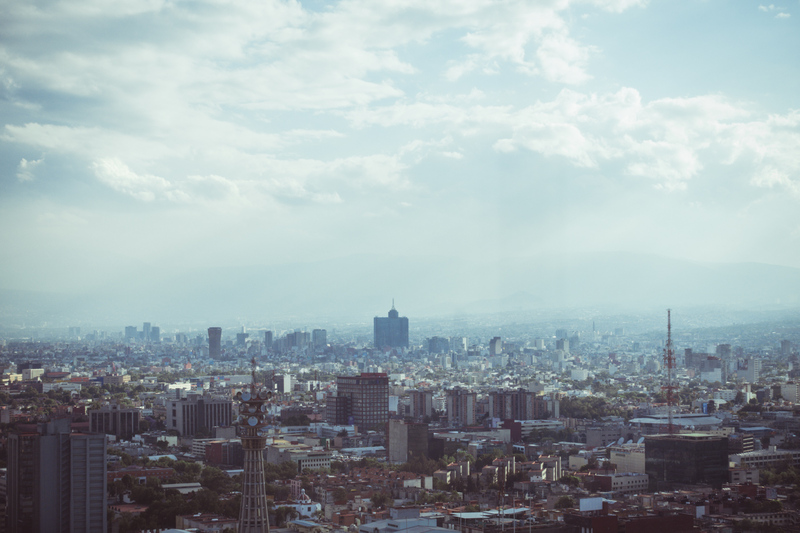 Just $80 MXN (a little over $5 USD) to go up to the “Mirador.” Not bad, I think, for one of the best 360-degree views of the city. 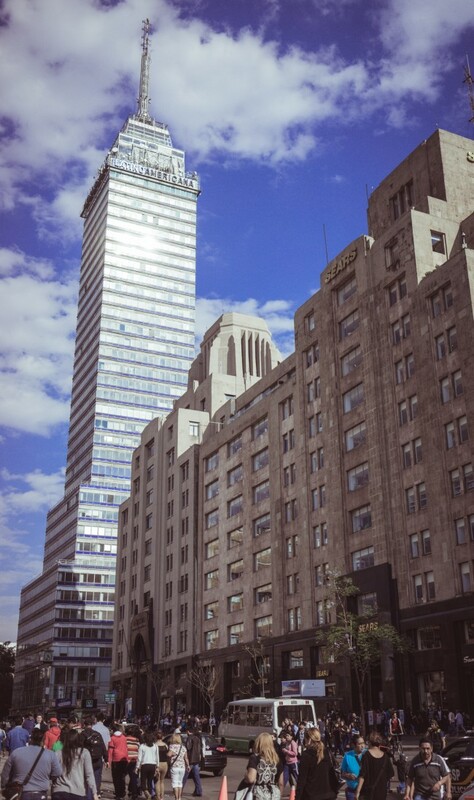 street view of Torre Latinoamericana from near the front of Palacio de Bellas Artes. 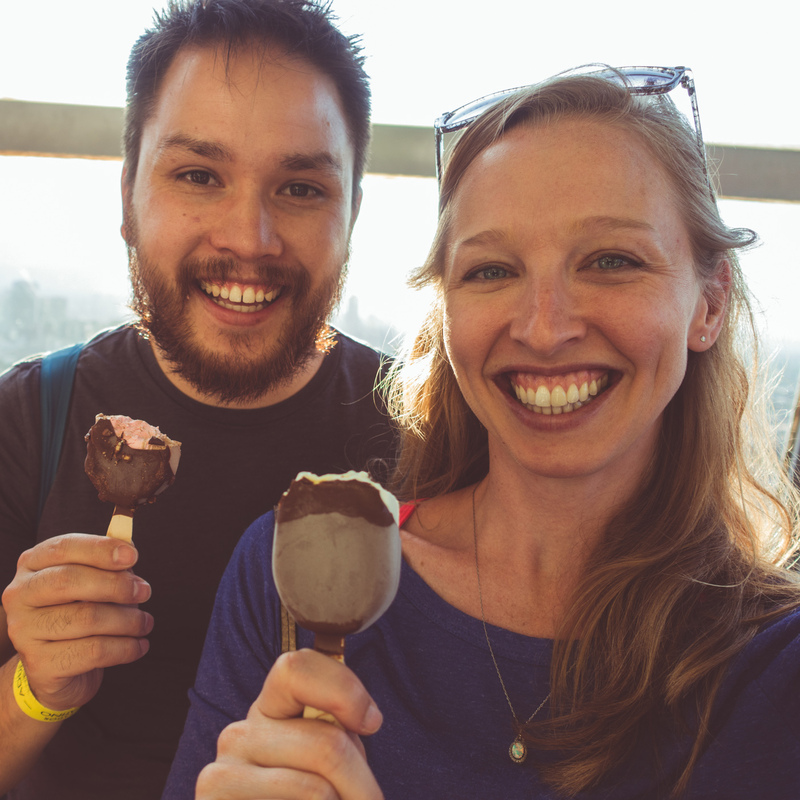 While there’s no time limit on how long you can stay at the top, our visit to the “Mirador” (the top of Torre Latinoamericana) lasted about 90 minutes, which included some time to sit down and have an ice cream — YUM! 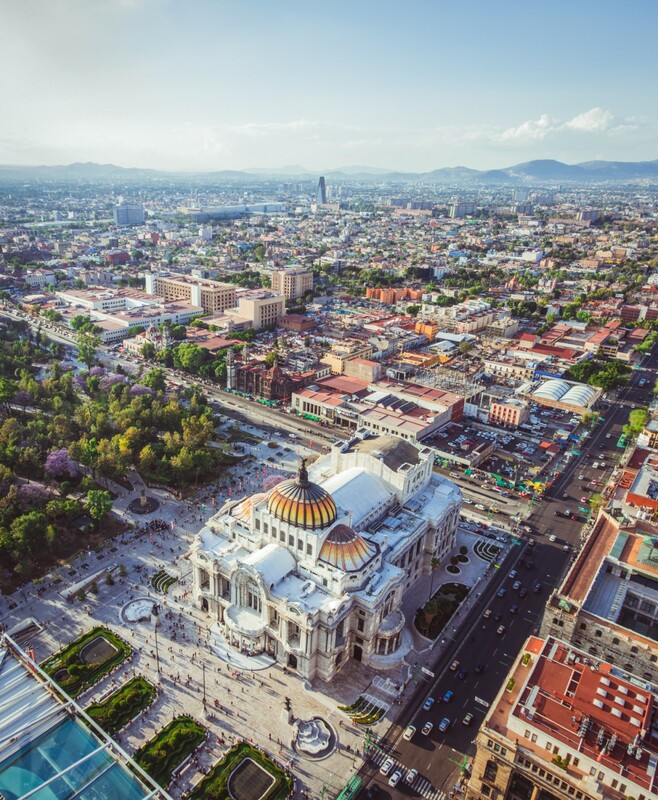 And if you’re looking for something to do afterward, there’s TONS to do nearby: Palacio de Bellas Artes, the Metropolitan Cathedral, and just walking around the Zócalo area in general will give you plenty to fill your day. 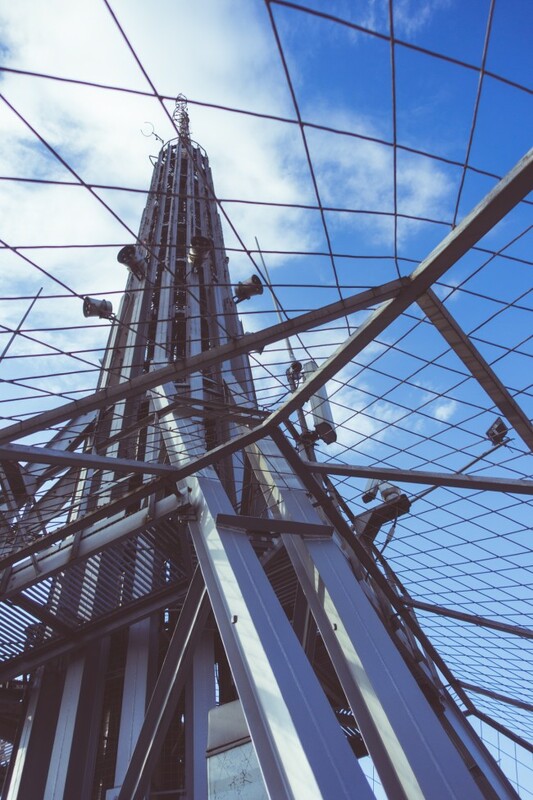 Since a sign at the ticket counter told us professional cameras weren’t allowed, we took all the Mirador photos with my compact Sony RX-100 III and only used Ian’s Sony a7 II for the photo of the tower from street level.